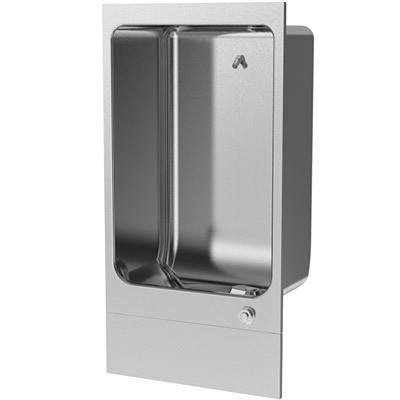 The Oasis FLF221PM Cuspidor is a non-refrigerated, fully recessed stainless steel unit for direct connection to a cold water supply. Satin Finish Stainless Steel Surfaces. Single Push-Button On Fountain Front Keeps Water Flowing While Button Is Depressed. Removable Chrome-Plated Brass Drain Strainer.